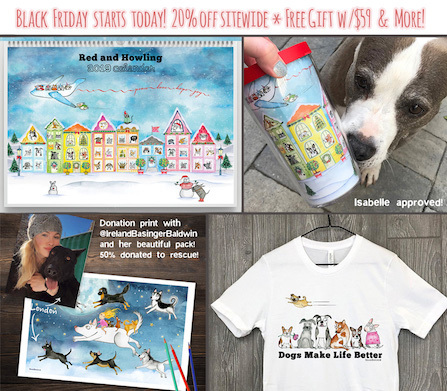 PLUS a special Gift for Community Members: At check out put "R&H Community Rocks" in the "Special Instructions to Seller" and I will send one of my new, big, awesome "Dogs Make Life Better" stickers with ANY purchase. Spend $49 and you'll also receive my Isabelle enamel pin with your purchase (if you'd prefer the Rosie enamel pin, simply add that to the note). I have lots of new goodies on my shop! Animals are my favorite kind of people.